Sure, you've heard of emperor penguins...but what about giant petrels, skuas, or sanderlings? 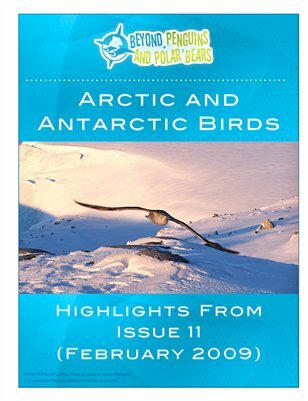 This issue, co-produced with the Cornell Lab of Ornithology, explores the amazing birds that live in or migrate to the polar regions. Read about how birds stay warm, or get an inside look at an expedition to record bird and other animal sounds in the high arctic. Discover professional resources about social networking and engaging boys in reading. Our featured lessons help you use the subject of birds to teach simple physics concepts.